Legendary studio Toho, which has been bringing Godzilla to the big screen for decades, is suing Voltage Pictures over Colossal, citing infringement and a slew of other charges. According to the Hollywood Reporter, the new film that would be directed by Nacho Vigalondo is too close for comfort for Toho. Anne Hathaway, who is attached to star, is on track to play a "woman who realizes her mind is strangely connected to a giant lizard destroying Tokyo." Adding fuel to Toho's claims is an August 2014 interview in which Vigalondo stated he would make "the cheapest Godzilla movie ever." Toho claims that Voltage Pictures printed an image of Gareth Edward's reboot version of Godzilla next to a photo of Hathaway and a giant robot in a Cannes sales booklet for the picture, as well as other images from the storied franchise in a Cannes sales suit and in a May 9th email. 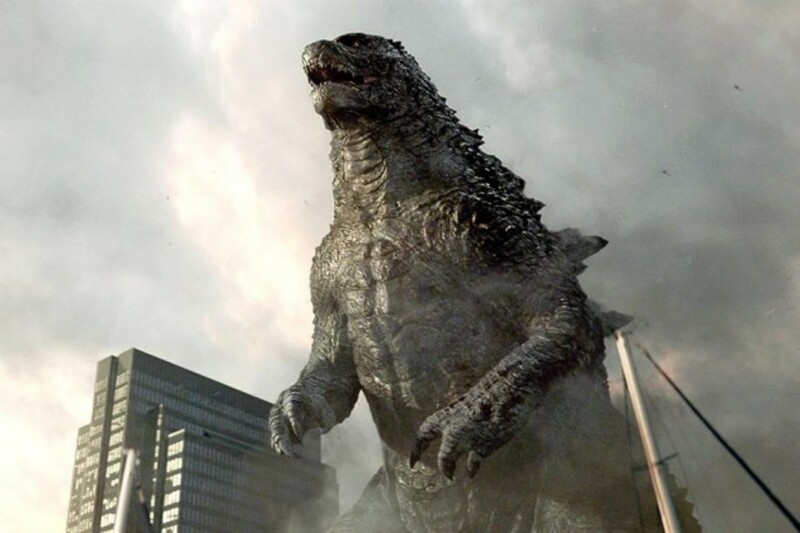 Toho's official complaint states: "Toho is informed and believes, and based thereon alleges, that Defendants have knowingly used the Godzilla Character to attract interest and attention in their 'Colossal' project so that it would stand out in a crowded field of competitors on the film sales circuit." We'll report more news as it develops, but this could be a giant, kaiju-sized mess for all involved. The photo I saw also had Mazinger Z. Go Nagai on this suit, too? I bet they were gonna rip-off Jet Jaguar next. Gotta stop these guys quick. I thought this was a joke when I first read about Hathaway doing this movie. Toho has every right to sue! This whole Colossal idea is ridiculous! Agreed. It's one of those "clever" post modern ideas that's nowhere near as clever as it thinks it is.